On Sunday, 29th April, Ron Gunnell, the Assistant President of the Mormon Tabernacle Choir, visited the Cardiff, Wales Stake where he hosted a fireside celebrating the choir’s Welsh roots and its many collaborations with famous British singers. To all those who attended, Ron shared stories of his time working as the Assistant President to the choir, recounting how he fulfilled his assignment from President Gordon B. Hinckley to fill the then recently built Conference Centre with people. This was an important undertaking, as the choir’s annual Christmas concert would be broadcast to 60 million viewers and no one wanted an empty building. President Hinckley expressed concern that while the previous site for the concert – the Tabernacle building – housed 7,000 people, filling the new Conference Centre which seated 21,000 people would be a much harder challenge. To meet this responsibility, Ron reached out to famous singers from around the world. Thanks to his actions, the Mormon Tabernacle Choir performed with singers (British and otherwise) such as Katherine Jenkins, Bryn Terfel and even the Muppets. 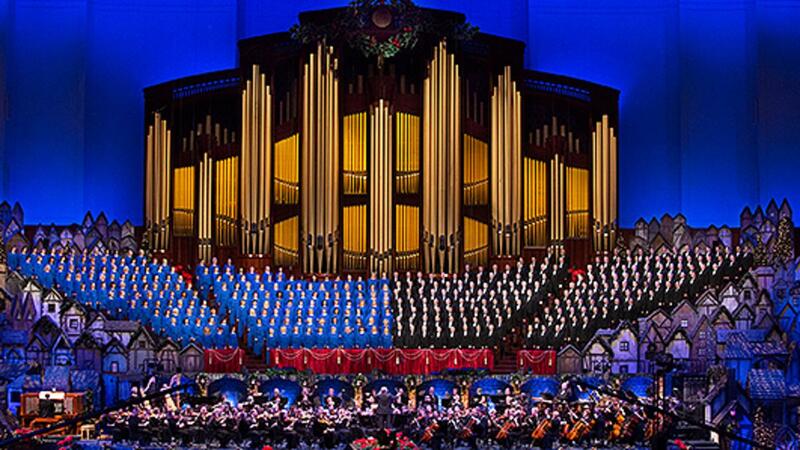 The Mormon Tabernacle Choir was founded by Welsh saints who emigrated to the Salt Lake Valley.